One of the busiest ports on the western coast of South America, the port of San Antonio is the gateway to Chile’s energetic capital city of Santiago. 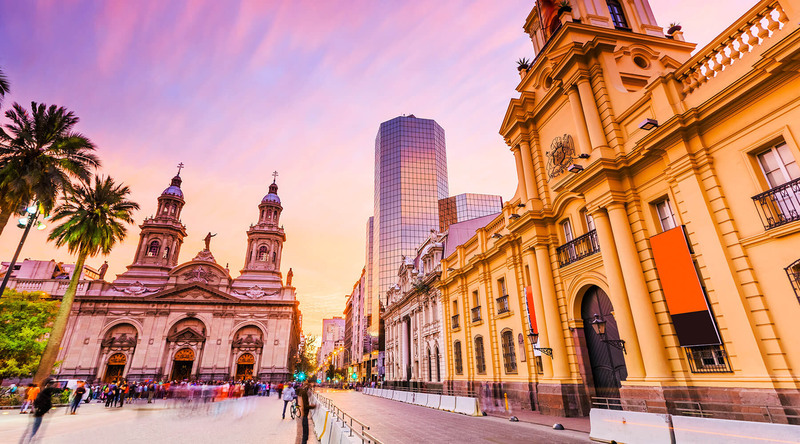 Famous for its ski resorts and cobblestoned plazas, Santiago is Chile’s cultural and political center nestled at the foot of the Andes in the Maipo River Valley. With a temperate Mediterranean climate and rich volcanic earth, the area is also emerging as a leading wine-growing region. Stroll down bustling Alameda, the city’s main thoroughfare to steal a look at the ornate 16th century architecture including the famed San Francisco church. Here you can climb the lovely Santa Lucia hill and take in some of the best views of the sprawling city below and the Sanhattan's skyscrapers. For some lively people-watching—and incredible dining and entertainment—visit the Plaza de Armas, to find artists, comedians, singers, and local vendors. Or, head to the nearby the Mercado Central to discover row upon row of eateries and try some Chilean street food like a completo (Chilean hot dog) or sopaipillas (bun stuffed with fried pumpkin). 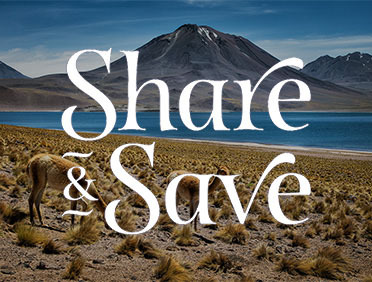 Just outside Santiago in the San Antonio and Maipo Valleys, where you’ll discover several noteworthy wineries to tour. In this birthplace of Nobel Prize-winning poet Pablo Neruda, you’ll find passion embraces every aspect of life. From its vibrant culinary scene to its impressive jazz community in the Nuñoa District, every turn provides rich history in a romantic setting. And, if you seek reprieve from the hustle and bustle of city life, you are no more than a couple of hours from the slopes or the beach—you could even do both in one day. In the neighboring Curacaví Valley, visit La Casona de Curacaví, a colonial-style house dating back to 1840. Stroll the estate’s lush grounds dotted with orange trees and blooming gardens, then peruse local handicrafts while savoring a delicious empanada paired with local wine. In Santiago’s historic downtown area, you’ll find the Palacio de La Moneda. Originally built as a coin mint, today it serves as the seat of the President of the Republic of Chile. Take in its modernist colonial architecture as you tour the Civic District, walking through Constitutional Square and keeping an eye out for the National Congress building. Ride the funicular rail or walk up the breathtaking San Cristóbal Hill to take in panoramic views of Santiago and the Maipo Valley. A sight to see in itself, Cerra San Cristóbal as the locals call it, is home to a 22-meter statue of the Blessed Virgin Mary, an amphitheater, a chapel, and the city’s largest public park, the Santiago Metropolitan Park. At the base of the hill you’ll find even more to see at the Chilean National Zoo and a stunning Japanese-style garden. Join your local sommelier for a scenic exploration of Valparaíso, followed by a blindfolded wine tasting experience. Learn about Valparaíso graffiti, street art, and culture on this art walk in the city, followed by a private cocktail reception at Palacio Baburizza. Experience the local villages and resort towns surrounding San Antonio in carefree comfort on this leisurely sightseeing drive led by a local guide.